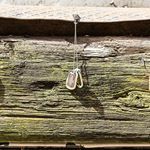 Dogtags make great low cost material for craft projects and decorations. 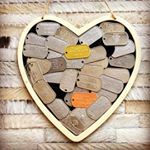 Their use is limited only by your imagination, there are hundreds of neat DIY ideas such as a dogtag chandelier, military babybook, mason jar labels, dogtag collages, valentines day gifts, etc. 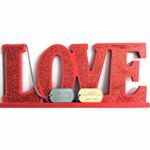 Is your partner in the military? 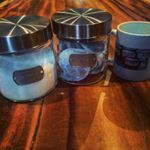 Do you have a newborn? 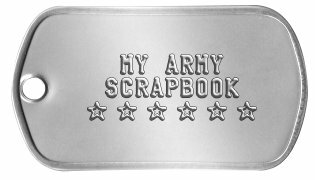 A personalized dogtag in brass, copper, or steel makes a great addition to scrapbook that can be easily tape or glued in place. 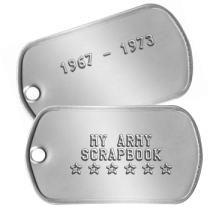 See more details about our Scrapbook Dog Tags or Customize yours now! 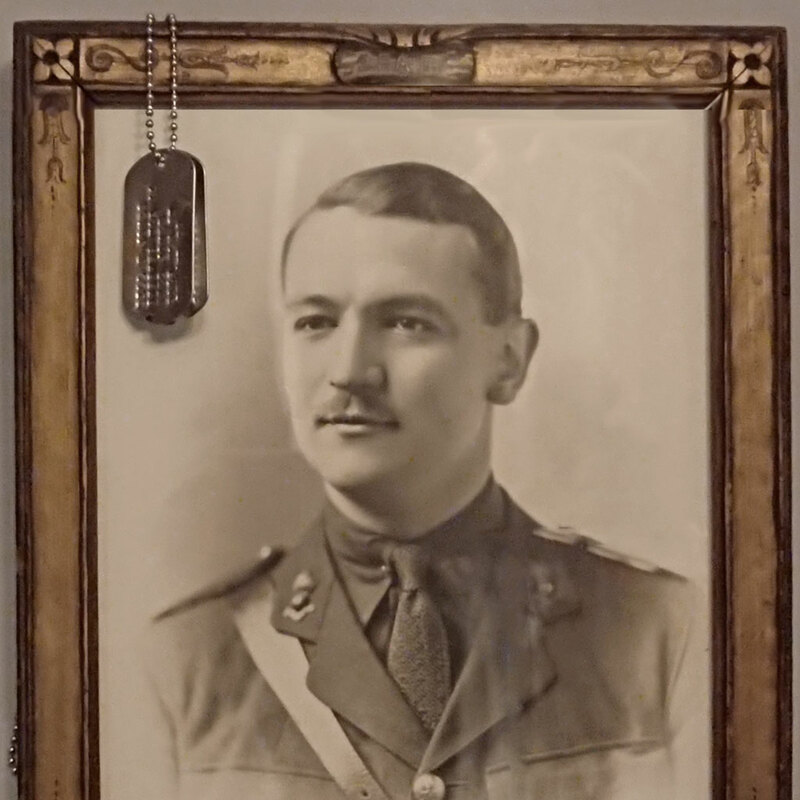 Commemorate your grandfather, father, or other family members who served in the military with a set of replica dog tags to replace their originals lost-in-time. 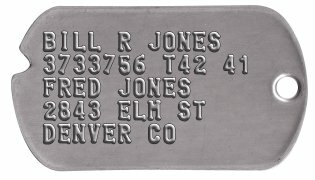 See more details about our Veteran Heirloom Dog Tags or Customize yours now! 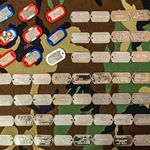 You may also be interested in our WWII Notched Debossed dogtags, Korean War era dogtags, Vietnam War era dogtags, and Veterans with Dementia Dogtags. 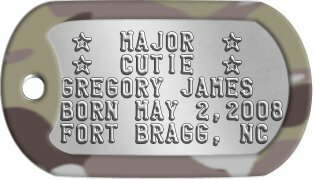 See more details about our Army Newborn Dog Tags or Customize yours now! 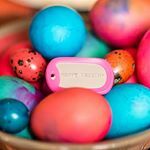 Commemorate a baptism of with a set of dog tags, they make an ideal Christian memento from Godparents. 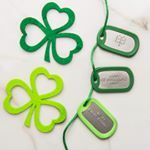 In many faiths, babies are baptized, and these dog tags are perfect for baby books and scrapbooks and will be treasured keepsakes for years to come! 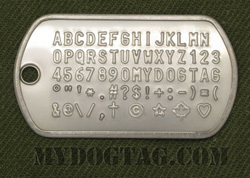 See more details about our Baptism Dog Tags or Customize yours now! 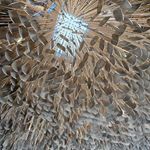 All orders are shipped within 1 business day and are usually delivered within 1 week (in North America). 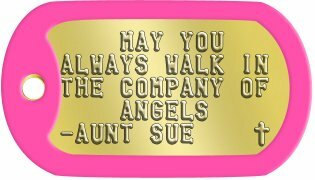 If you need any assistance creating or ordering your Craft & Scrapbook Tags please contact us directly, we are here to help!